If you haven't been able to tell from the hilarious Instagram pictures I have posted recently, my birthday is right around the corner. I want to carry on the tradition I began last year and that is to celebrate my birthday with each of you. This year, to celebrate my birthday, I am giving away a beautiful statement necklace courtesy of Bisoux Jewelry. I recently wore the same necklace on a Sunday Fun Day. I decided to wear the necklace with an ASOS print skirt I wore last year. It was a simple, comfortable outfit. You must have Facebook and Twitter to enter this giveaway. Giveaway is open August 12 until midnight, August 18. 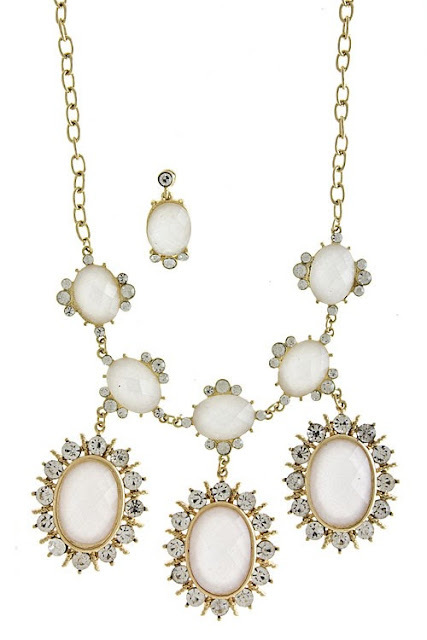 Want to win this necklace? Enter below!